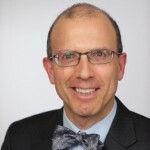 Adding social trading capabilities is clearly something of immense interest, as a fast growing number of firms continue to adopt related technologies and develop solutions to cater to this trend. 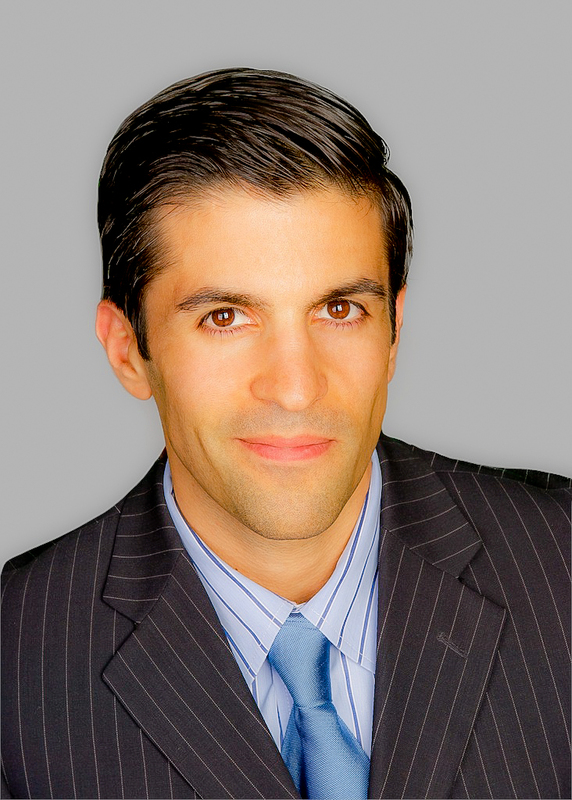 The latest announcement comes from IronFX Global, the Cyprus-headquartered Forex and CFD Provider regulated in multiple jurisdictions, which announced today the launch of Sirix Web 6.5, an Adobe flash web-based trading platform which uses a shared wallet with the MT4 trading platform and Sirix Mobile, providing users the ability to log into all platforms simultaneously and provides social-trading capabilities. IronFX also announced today, in a separate press release, the intention to launch the tradable platform, an app-powered open platform that has been adopted as an innovative solution to traders and increasingly offered by brokerages. These further add to its growing product offering as it continues on a global expansion plan. The social trading aspects of Sirix, a technology developed by Leverate, provides traders access to the live trades placed by other traders within the Sirix trading community. The platform which has been launched as the IronFX Sirix Social WebTrader contains a Social Stream (in its main view) with the last 100 live trades placed by other traders, as well as the pending orders and updates placed by the community traders, and therfore providing a collective dynamic snap-shot of the sentiment of the community. In addition, the advanced tools in the Sirix platform version 6.5, enable trades to either manually copy trades from other traders within the community -via the social stream – or choose an auto-copy feature in order to mirror subsequent trades from the selected users. There are also analysis tools, providing a way to rank return and risk statistics of individual traders (historical performance). The announcement of the IronFX Sirix Social Web Trader, and plans on launching tradable, follow what appears to be a wave of efforts that the company has aggressively pursued in an attempt to expand its global footprint. As per the official press release, the IronFX Sirix Social WebTrader enables traders to execute Forex and CFD trading from any computer, mobile or tablet device, without downloading or installing any software. With regards to integration, the system is already aligned with their trading platforms (including MT4) and trades are automatically informed across all platforms, according to the announcement. The additional announcement from IronFX today, regarding tradable, empahsized the expected advantages IronFX Global clients will have with the ability to use tradable to fully customise their own trading environment. 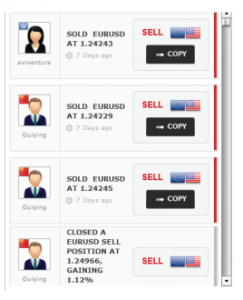 The unique interface, which was noted as having won the award for most innovative financial product at the 2012 Forex Magnates Summit, according to the official press release, lets users download and arrange third party developed apps in any way they want. Less than a few weeks surrounding the establishment of regulatory licensing in New Zealand and membership with Russia’s leading Self Regulatory Organization (SRO) CRFIN, the CySEC and FCA regulated broker recently held a ceremony for its new relocated head office in Cyprus and simultaneous charity fund-raising efforts attended by the country’s President. The company’s logo has a slogan “solid trading” attached, which concurrently is reflecting solid public relations with a well-organized and well-attended event early last month during the above mentioned opening ceremony for the new HQ in Limassol. 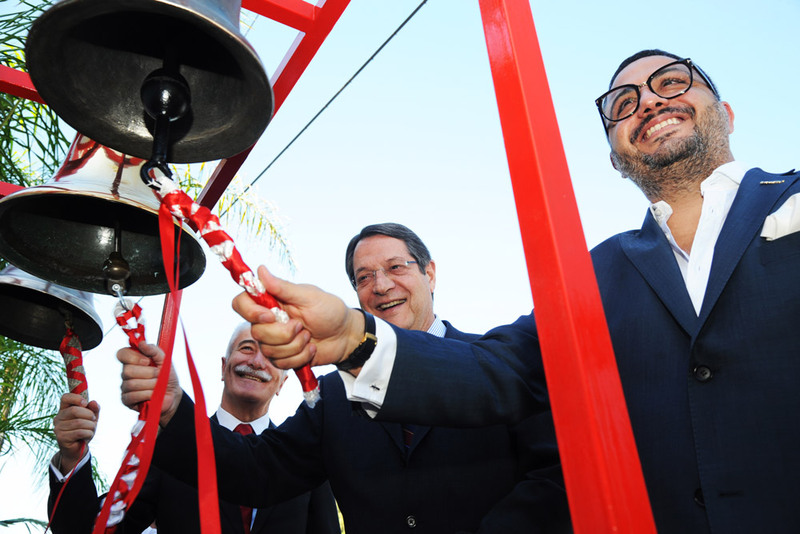 More specifically, according to news published on the IronFX corporate website, the event was held on October 12, 2013, in Limassol and attended by the President of the Republic of Cyprus, Nicos Anastasiades, who was the guest of honour, and the person who rang the bells together with the company’s co-founders, Markos Kashiouris and Petros Economides, as set by tradition, at the new headquarters during the inauguration. During his welcome speech to guests and employees, the Chairman of the Board of Directors, Mr. Kashiouris, expressed the company’s objective to become a market leader and how all company efforts would continue towards that aim at full throttle. 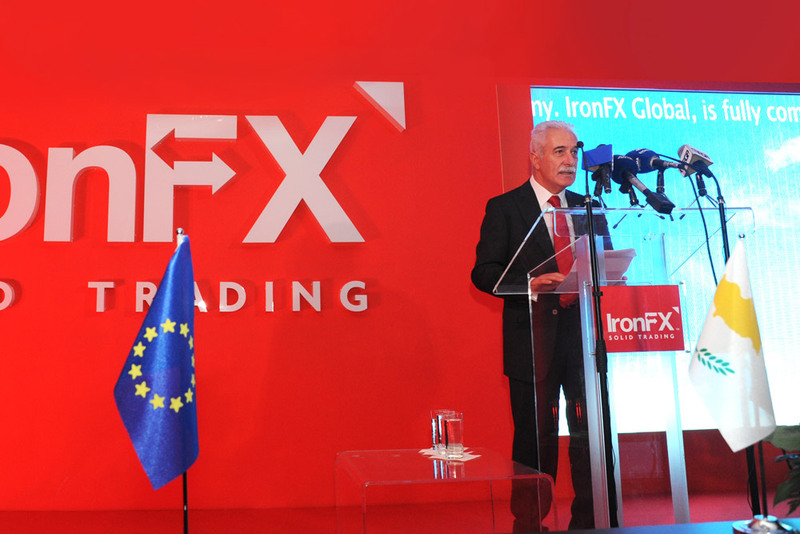 According to its website, IronFX Global offers MT4, MT5, multi-account manager and a web-based trading platform (in addition to the above mentioned launched today) and mobile versions for trading, and is regulated in Australia, New Zealand, Cyprus, the UK and EEA passported under MiFid directive throughout Europe (through the UK FCA). In addition, the company has made recent hires according to Forex Magnates’ research and announced the release of an EA builder in early September, to assist clients with self-developing trading robots for use on the MetaTrader4 platform. Mr. Economides, IronFX Global Non-executive Director, revealed his thoughts on what crucial elements make IronFX Global unique and the drivers of its past success during the previously mentioned event, and Cyprian President Anastasiades, in a brief speech pointed out the contribution and leadership of IronFX Global, as part of the permanent strive of the Cypriot Government to attract international investors in the country. The FCA regulated broker which then became CySEC regulated, and as it followed on its global expansion plan survived the banking crisis in Cyprus which sent shock-waves throughout its local economy requiring a bail-in from domestic bank depositors, appears to have emerged full-throttle. On March 17th, in a televised address, the President of Cyprus, Mr. Anastsiades said, “A bank collapse would cause indescribable misery.” While its arguable that misery was averted as civil frustration grew, clearly it could have been worse, and most importantly it appears that his efforts have prevented the country’s exit from the euro which was a concern he had voiced regarding the risks of not using the one-time measure to save the banking system. As the country rebuilds both internally and from a PR perspective, along with local financial markets’ regulator (CySEC), the question is to what degree will this enable Cyprus to regain its position as the intercontinental hub for retail FX in the region. Certainly events such as that of IronFX, with regards to its HQ opening office ceremony, aim to instill confidence from both a branding and marketing perspective and are supportive to the region locally. In addition, the company has developed a charity fund, which was announced earlier this year, which supports local organizations (and international communities) and which raised funds during the October 12th event. In addition, post-ceremony entertainment was provided by the famous Greek musicians Antonis Remos and Stelios Rokkos, and was also attended live by more than 10,000 members of the public including the First Lady Mrs. Anastasiadi, as part of the global charity concert. As part of its global expansion plan, new offices are expected to be established in Dubai adding to the existing 14 international offices staffed by the company, and another eight global offices that are serviced (total 23 including newly launched in Auckland). In Forex Magnates’ opinion, it will be interesting to track the company’s progress with regards to trading volumes and new customer acquisition that may result from the recent investment into growing their business, including the news announced today.